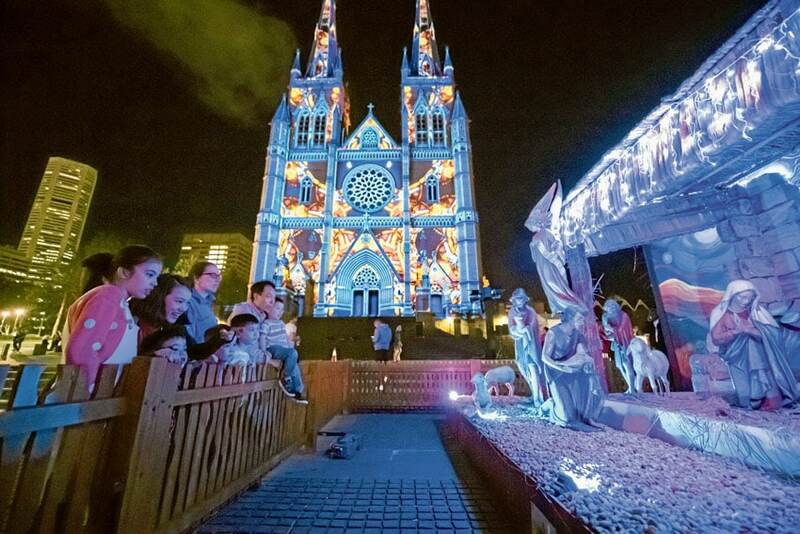 Sydney’s longest-running, free Christmas community event, which has become a “must see” for thousands each year, is about to kick-off for its ninth season. 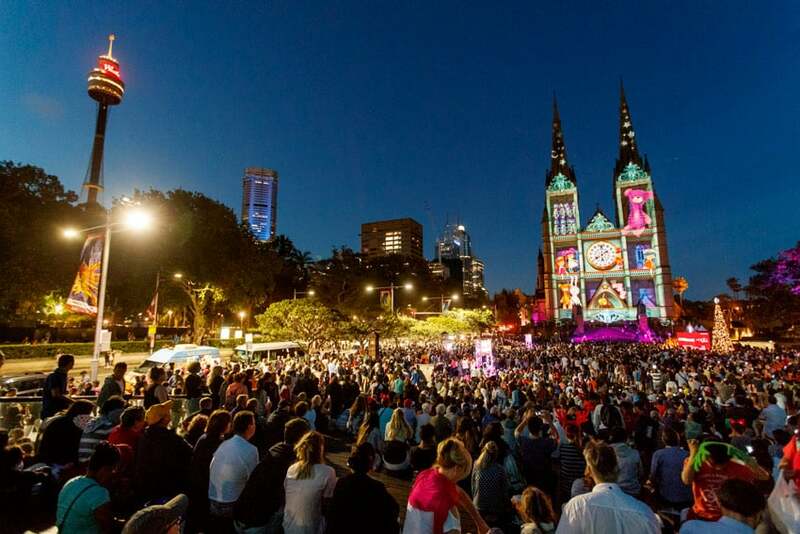 The iconic free community event, The Lights of Christmas, will be launched at St Mary’s Cathedral Square on Wednesday 5 December at 7.30pm by Archbishop Anthony Fisher OP and NSW Premier, Gladys Berejiklian. 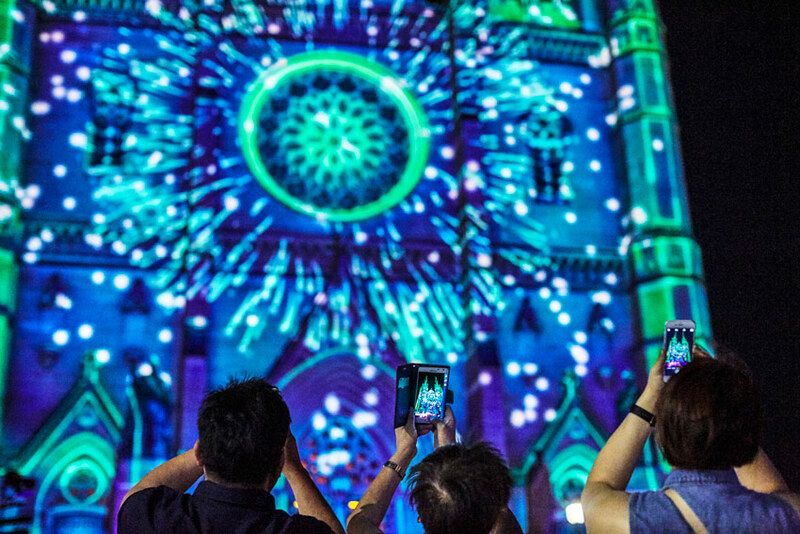 St Mary’s stunning facade will provide the canvas for the spectacular Christmas light show, every night from 8.30pm to midnight, up to and including 25 December. Last year 800,000 attended The Lights of Christmas, with more than 3 million viewing the show online. Choirs will perform on the steps of the Cathedral each night one hour before the audio and light show begins. The opening night will feature a performance by CaSPA, the choir comprised of Catholic school students, and the Sydney Street Choir. This year’s theme will be “Giving” and for the first time the event, presented by Paynter Dixon and produced by AGB Events, will partner with the Curran Foundation to raise funds for Sydney’s St Vincent’s Hospital. Money raised will go towards the Hospital’s Heart and Lung Transplantation program. 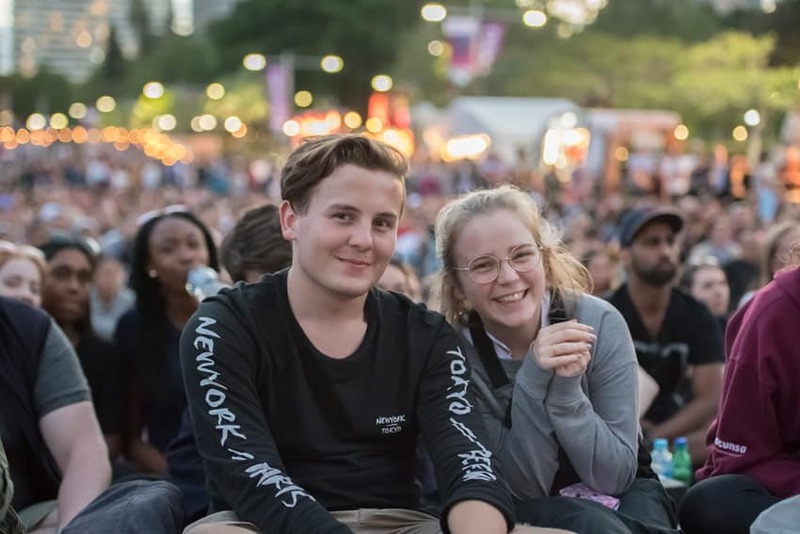 “This has become such a wonderful and huge Christmas event for Sydney, where people from all communities are welcome,” said Anthony Bastic, Creative Director of AGB Events. “And of course we will have the beautiful traditional artworks featuring the Madonna and Child,” Mr Bastic said. The Lights of Christmas has become an annual tradition for Sydney-siders, especially for families, with many enjoying a picnic dinner together as they watch the festive light show. The show will run on a 12-minute loop and will consist of three segments, beginning with a visual feast of decorative patterns inspired by Christmas. The second segment will present a beautifully animated story, Roger Robot, written and narrated by the Red Wiggle, Simon Pryce, exploring the power of giving rather than receiving. 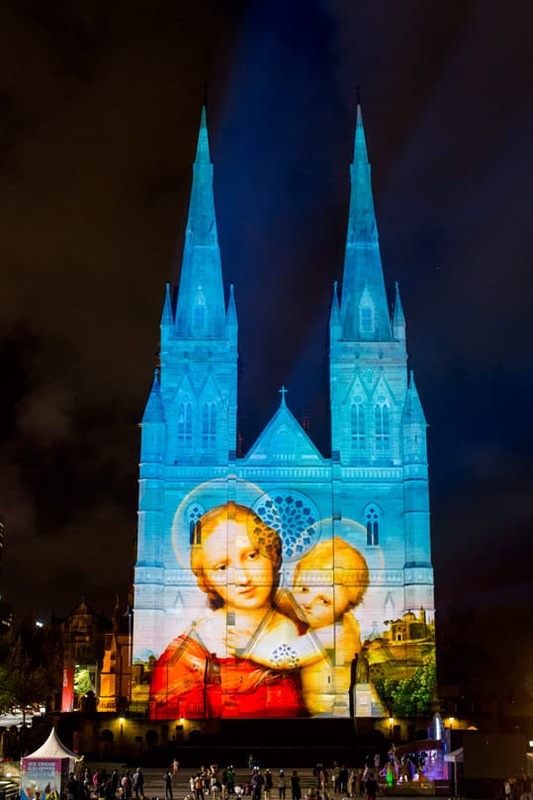 The final segment traditionally honours the essence of the Christmas story, featuring a series of artworks depicting the Madonna and Christ Child. “We are proud to be associated with this inspiring community event,” James Boyd, Director of Paynter Dixon, said. Other sponsors of the event include the NSW Government, Australian Catholic University, PAYCE, Catholic Super and the City of Sydney.